The Micro-Poise ® AkroDYNE® FX Tire Dynamic Balance System is a complete system for measuring, grading, marking and sorting tires according to static, couple, and upper and lower plane imbalance. AkroDYNE® FX dynamic balancers utilize a “force measuring” imbalance-sensing system in conjunction with computer based software. The force measuring system accurately measures the imbalance in a wide variety of tires. The AkroDYNE® FX test procedures and capabilities follow tire and automotive industry practices for tire balance testing while offering enhanced machine performance and measurement analysis. 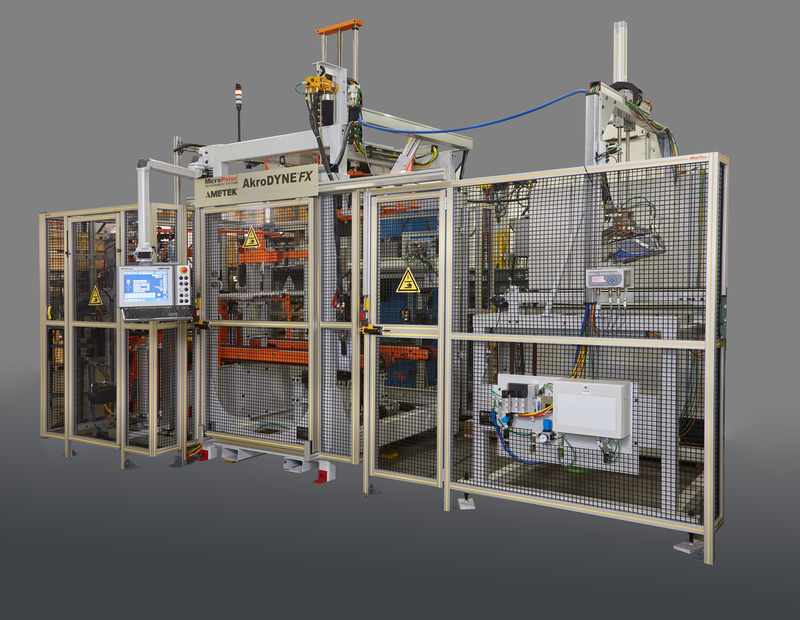 The AkroDYNE® FX is a fully automatic machine used for 100% tire checking in production. It can automatically adjust to different tire widths and test conditions while processing a variety of tires with various bead diameters (adapter dependent), outside diameters, section widths, and weights. The exit drop conveyor drops down for easy access to the testing station as well as any markers. AkroDYNE® FX comes with protective guarding and access doors around the machine. Access doors are interlocked for safety. This allows safe and easy access to the entire machine. The best Cycle Time in the industry.